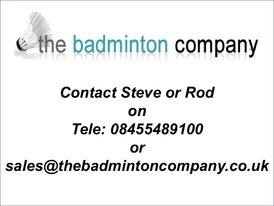 Welcome to the official website of the Castleford & District Badminton League. Congratulations to the winners and commiserations to Pontefract A and Pontefract B. The League Tournaments were a great success, thanks to George and Susan and all those who took part. ​Winners details are available for download. The C&DBL Junior Tournament will be held at the Garforth Badminton Centre on 19th May 2019. A poster and application form is available to download. The League Dinner Dance and prize presentations will be held at the Kings Croft Hotel on Friday 7th June 2019. Please contact your Secretary or Coach for tickets which cost £25 for adults and £14 for juniors. The menu is available for download. Clubs who have or are interested in starting a junior/adult coaching section and would benefit from having qualified coaches/assistants should register interest with the League Secretary. Help with the costs may be available from the League. To date there has been an encouraging amount of interest shown by league members. Application forms can be obatined from the Secretary. If you would like to support the League and reach more potential customers on a website with over 2000 hits per month, by advertising on our website (only £10 per annum), please get in touch with the League Secretary or any Committee member. A further benefit for advertisers is their inclusion onto Sportsganiser, which will further increase exposure amongst the wider badminton community.